The five daughters of Zelophehad had a problem. Their father had died in the wilderness before the Israelites came into the Promised Land. Zelophehad did not have any sons to inherit his portion of the land and the law did not provide for women to receive the son’s portion instead. Consequently, his daughters not having a father, brother, husband, son or any other man in their immediate family were left out completely. Rather than complaining to others, they called a “congressional hearing” (Numbers 27) and presented their petition for an inheritance to Moses and the leaders. When Moses took their case to God, He agreed with the women and granted their request. Now, what do you think the outcome would have been had they simply whined to anyone in the multitude who would listen rather than bringing it those in authority? I doubt that they would have gotten an inheritance. Further, women might still be precluded from owning real estate! A legitimate complaint can only be resolved if you direct it to the one who can change your situation. Only a few people who are dissatisfied, annoyed or upset by an experience actually take steps to officially complain about it. They prefer to waste time soliciting others to commiserate with them. What an exercise in futility! Not only could their input to the right person improve things for them but for others as well. For example, on several occasions, I find myself in a store where the line is growing longer by the minute. Rather than joining the other customers who are whining about the situation, I seek out (sometimes yell for) the store manager and ask him to open another register. Most of the time this works. The psalmist in Psalms 142:1-2 (NAS) chose not to bore, frustrate, or waste the time of others with his complaints. “I cry aloud with my voice to the LORD; I make supplication with my voice to the LORD. I pour out my complaint before Him; I declare my trouble before Him.” He chose to complain only to the one who could bring change. Notwithstanding, even God tires of constant complaints. Someone once said, “To swear is wicked because it is taking God’s name in vain. To murmur is likewise wicked for it takes God’s promises in vain.” During your 30-day “tongue fast”, become aware of how often you complain about non-essential matters such as a rainy day, traffic jams, boring television programs, lazy co-workers, and the like. Since complaining is contagious, this is a hard mouth malady to cure. In the past, I have found myself joining in with complaining wives just to have something in common with them even though my husband was not guilty of the things about which they complained. I knew that I risked envy and alienation if I confessed to what a wonderful, supportive man that he is. Sometimes I would try to search for something to whine about and would come up with something as shallow as the fact that he eats several times a day–providing a constant temptation for me the eternal dieter. The man maintains his proper weight and makes his own food most of the time! What is there to complain about except that I resent his metabolism? If you are a complainer, you must start to resist the constant “ain’t it awful” party. Trust me, others will be glad that you did and will stop dreading conversations with you. This is not to say that you shouldn’t seek an occasional sympathetic ear or wise counsel from a valued source. However, if you are going to ignore their advice and continue to rehearse the problem each time that you converse, beware. Thy listener shall soon become weary of thee! When you feel a complaint coming on, replace it with a statement of gratitude or a declaration of a Scripture that you have personalized. 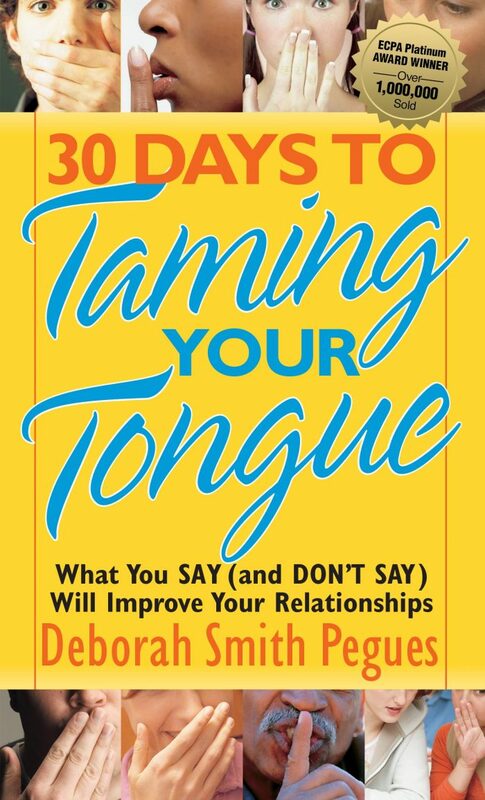 EXCERPTED FROM: 30 Days to Taming Your Tongue (Harvest House Publishers); over one million sold.